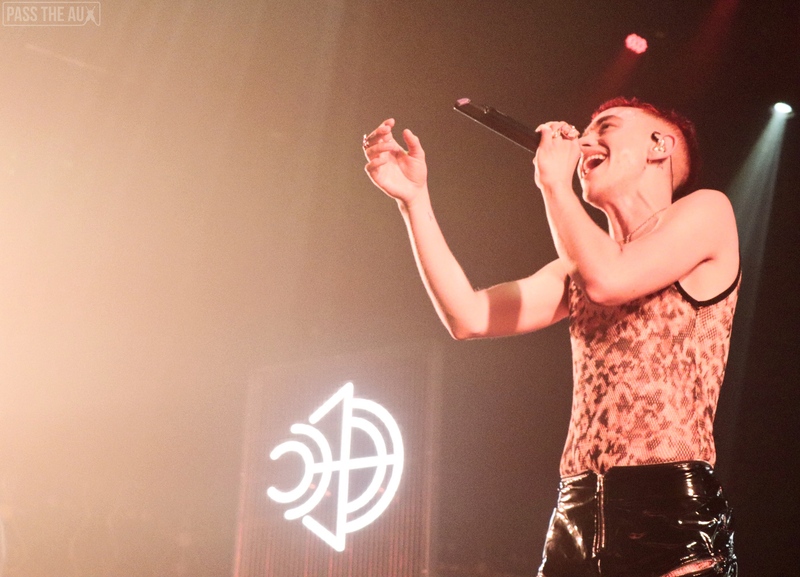 If you haven’t heard of Years & Years, it’s time to get to know them. 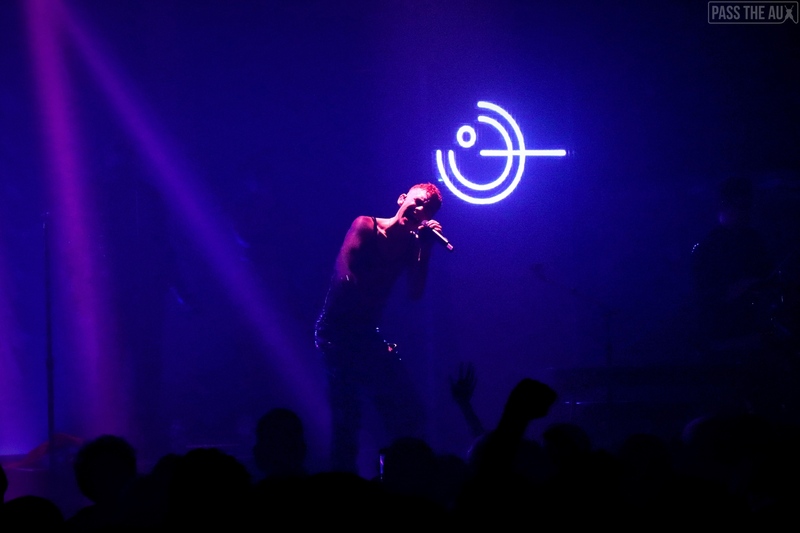 Only three short years ago, the British synthpop group broke through the scene with a song BBC Radio 1 DJ Zane Lowe called the Hottest Record in the World: “King.” Only a few months later, their debut studio album Communion became the fastest selling debut of 2015 from a UK band. 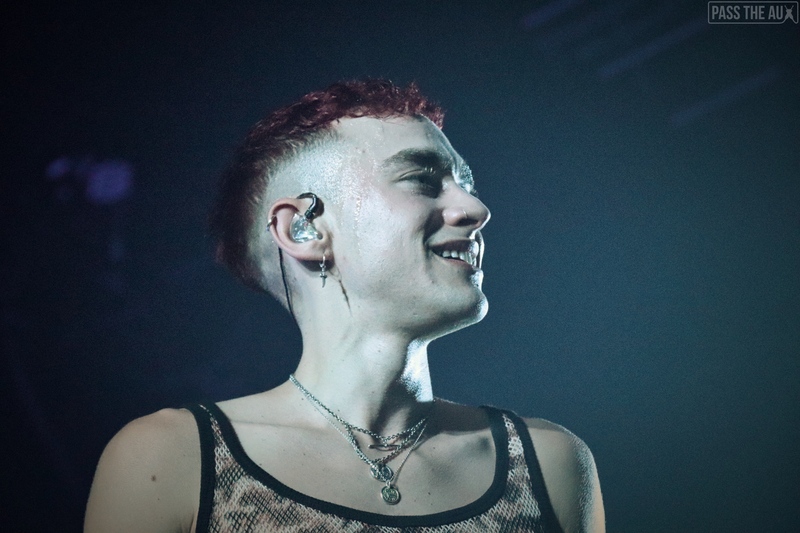 A bit after that, they were nominated for four major BRIT awards and even sold out the Wembley Arena in London. 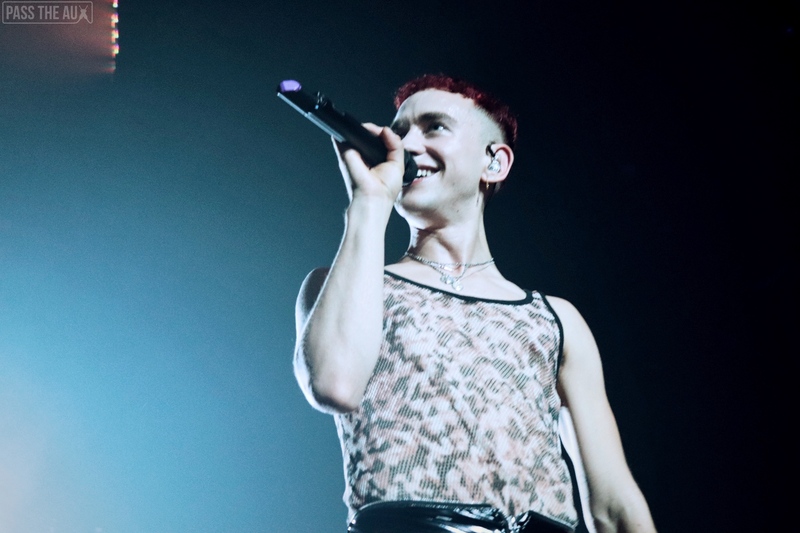 And how did Years & Years manage to do all that? 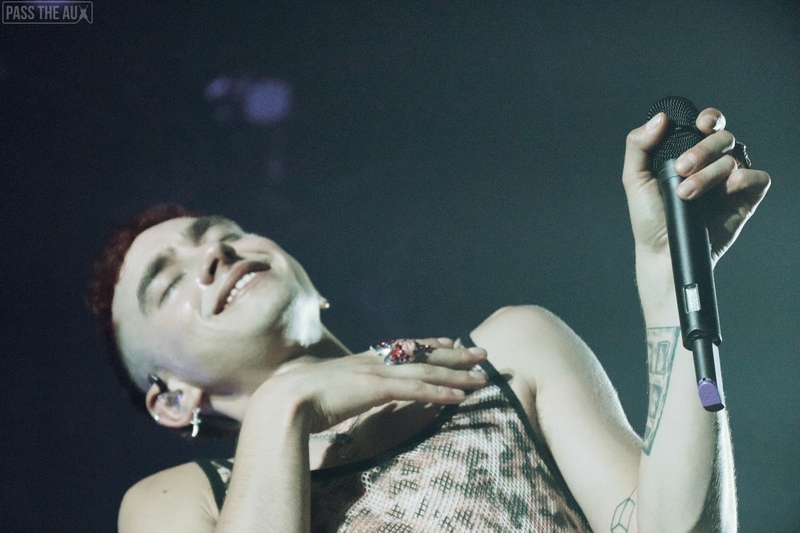 By having a ton of fun, of course. 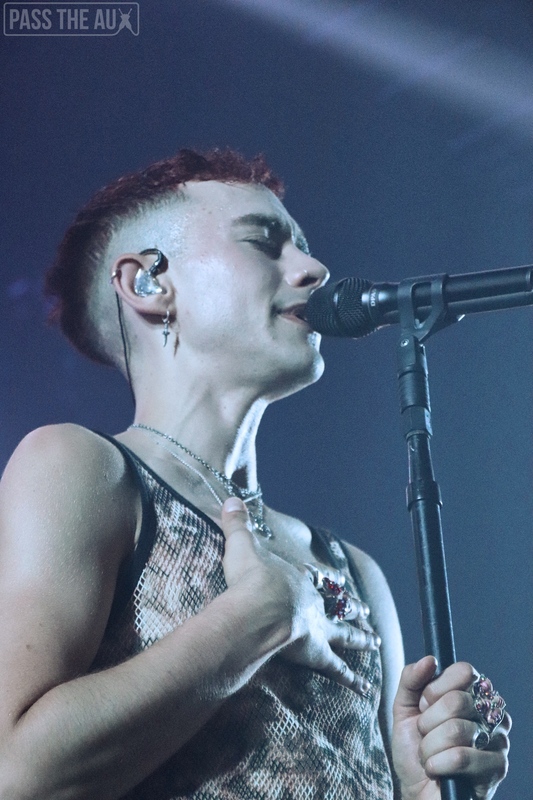 Lead singer Olly Alexander is a spry and effervescent gem of a young man with a voice and look exclusively made for pop music — and he’s key to the group’s success. 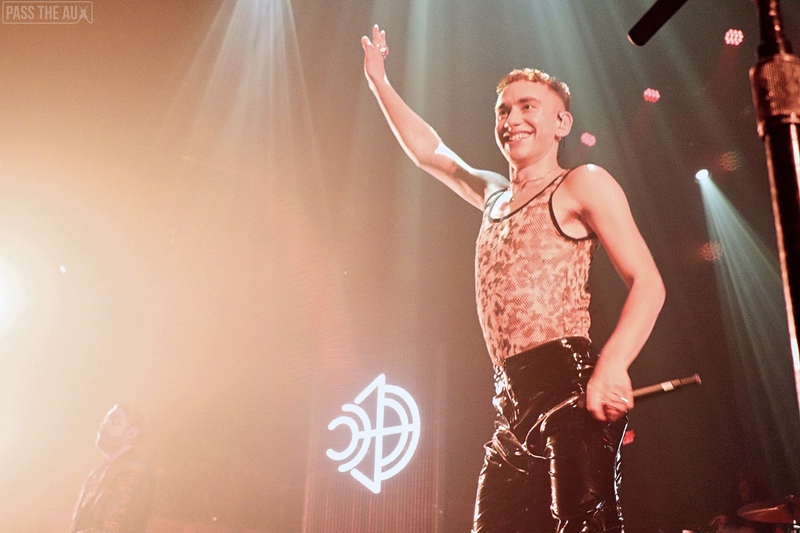 But more than anything, Olly’s having fun. 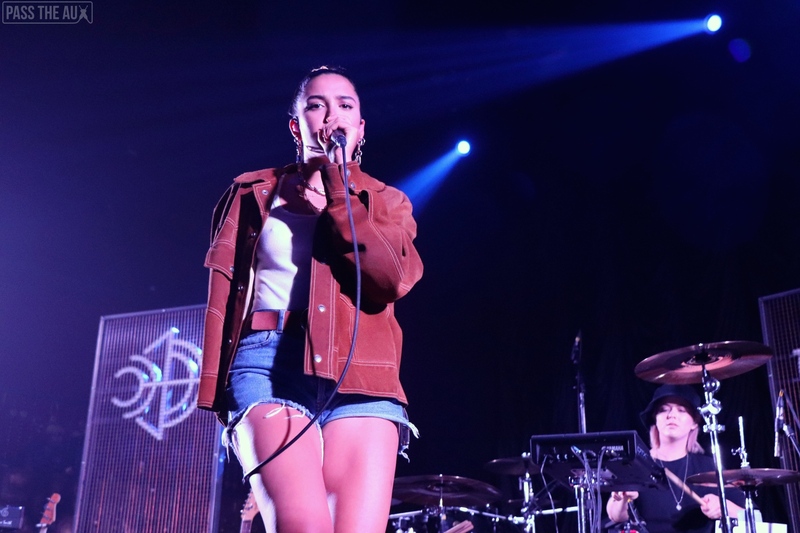 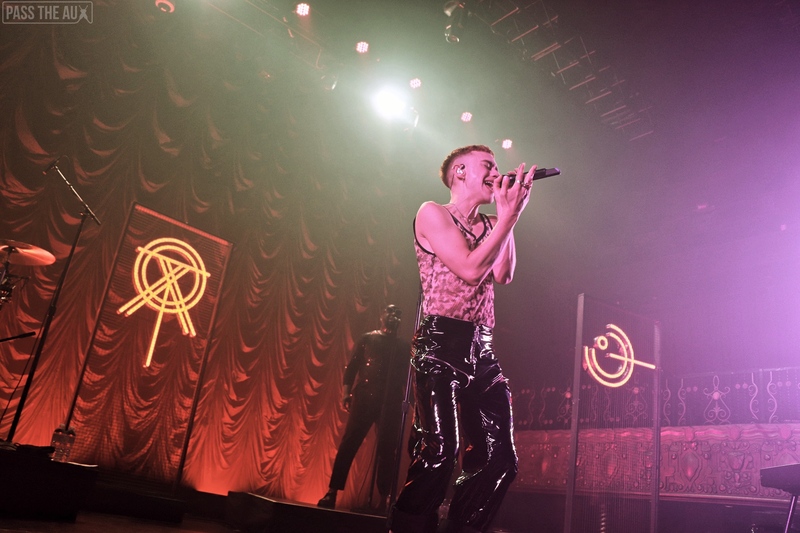 The trio stopped by the Belasco Theater in DTLA only a week before the release of their second record Palo Santo to share that fun with a packed house of eager fans — and no one left disappointed. 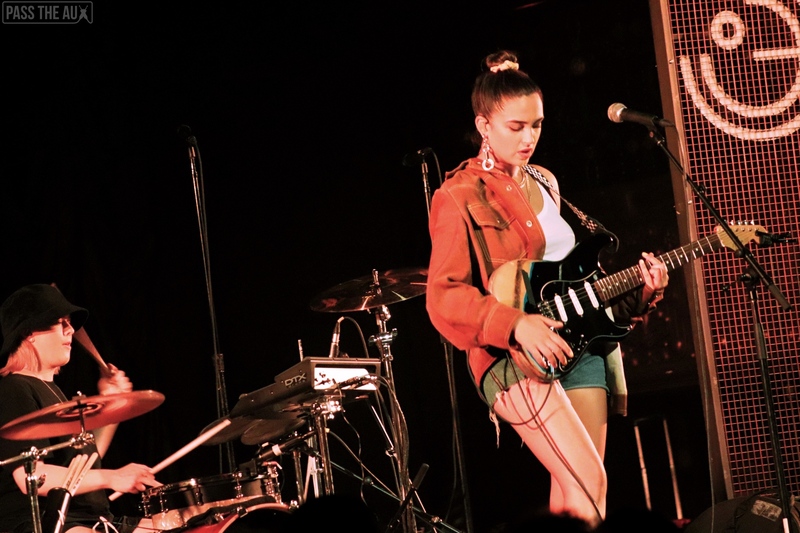 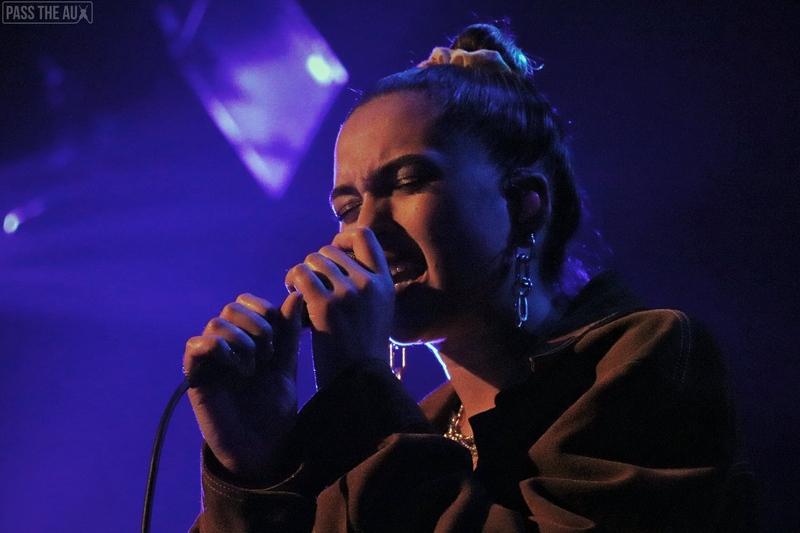 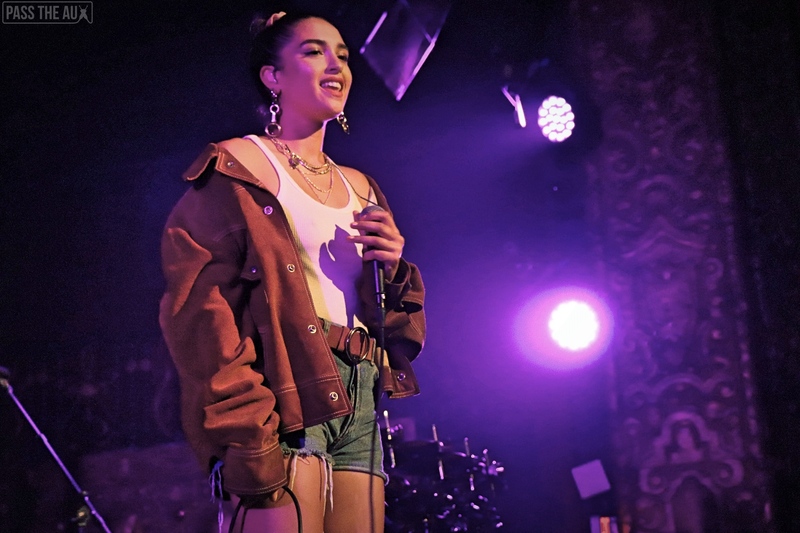 Up-and-coming pop diva Jess Kent opened the night with memorable singalongs, a unique hip-hop and pop sensibility, and even a guitar lick or two. 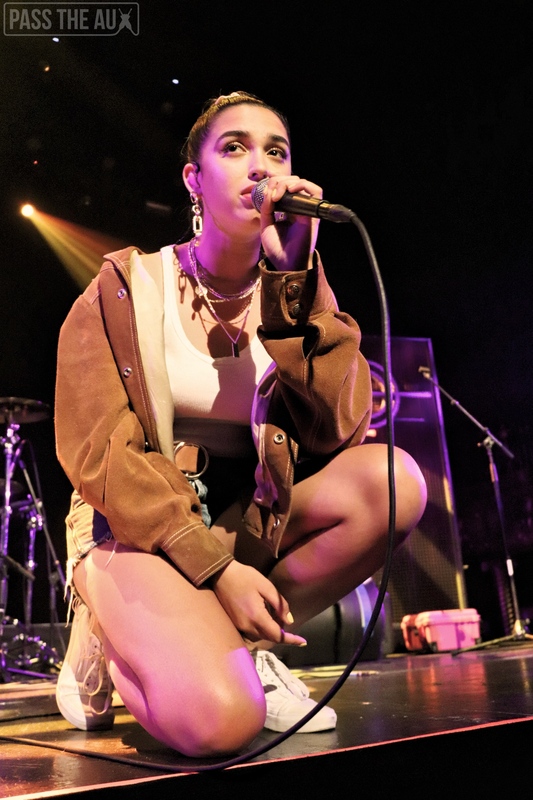 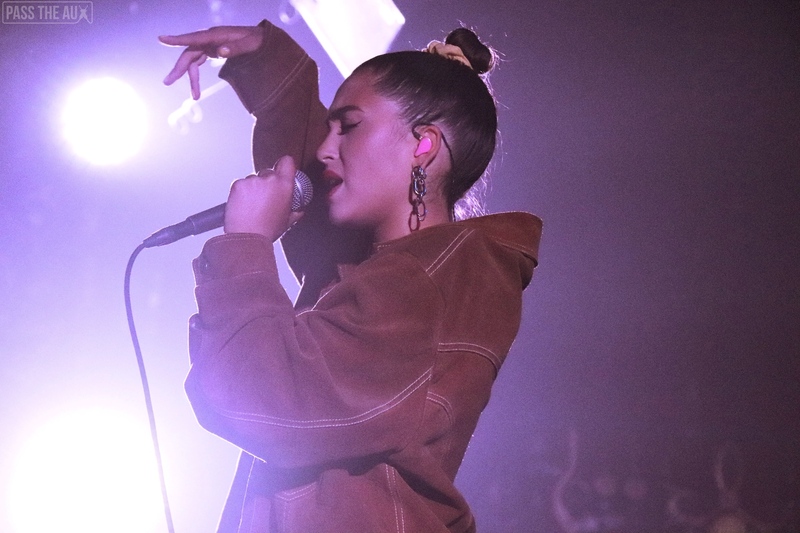 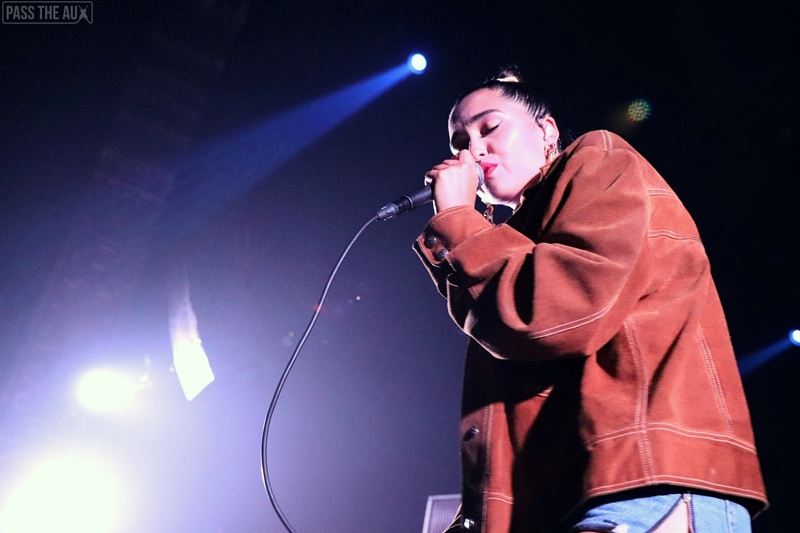 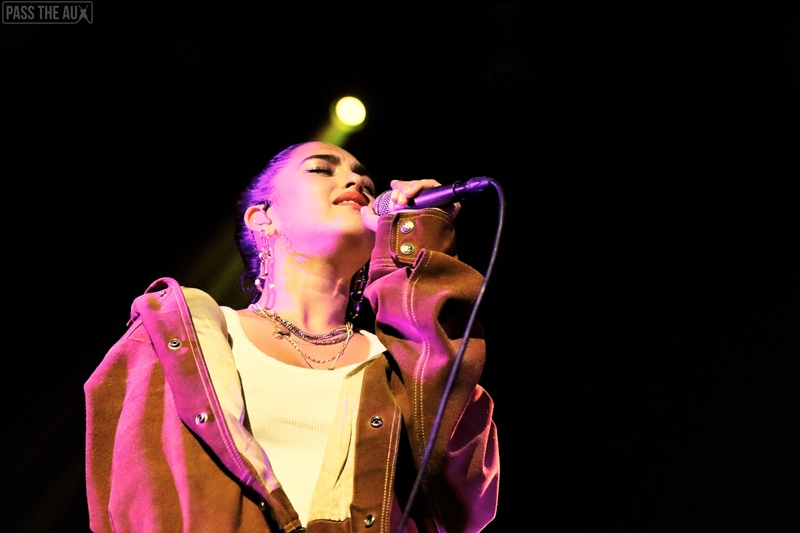 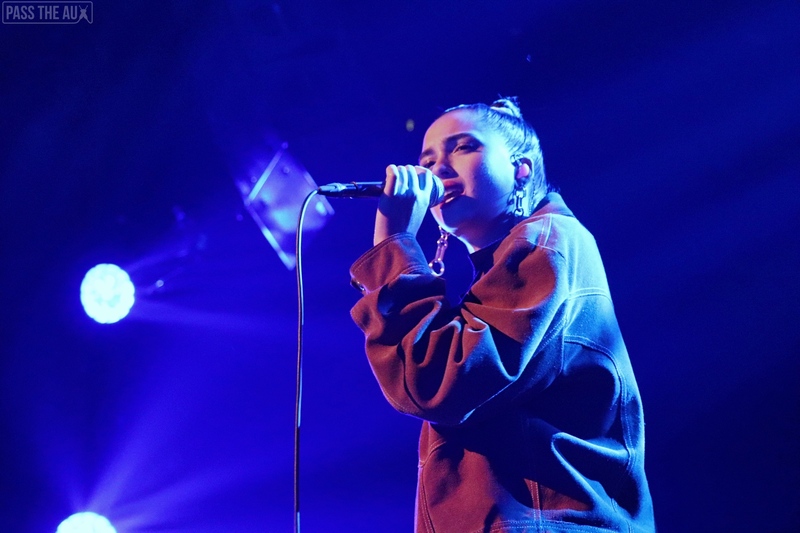 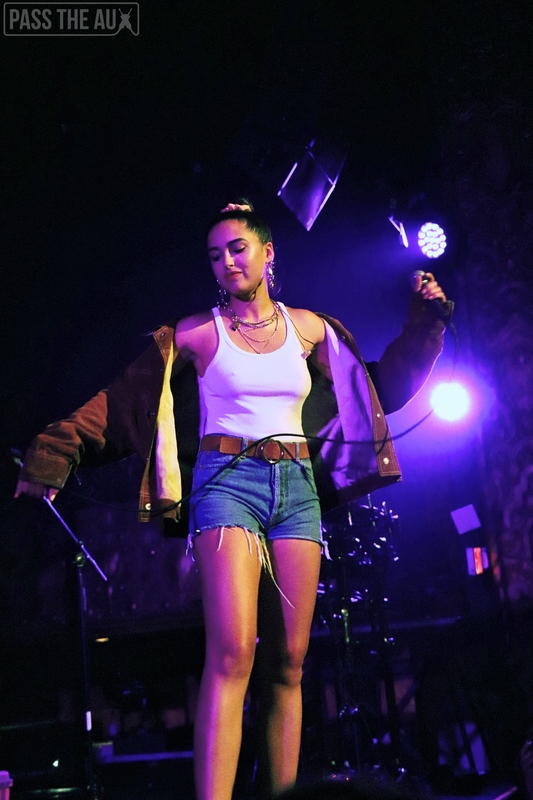 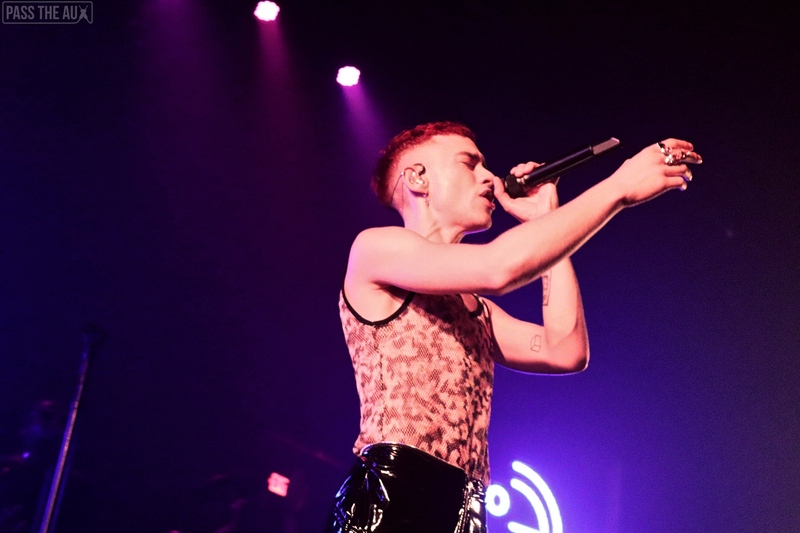 The audience was engaged and ready to dance, both anticipating the long night ahead and enraptured by the 22-year-old Aussie’s most infectious track, “Trolls.” Up front, ecstatic teens were dressed in sparkles and flair, including a bit of face paint depicting secret symbols only Years & Years fans could know. 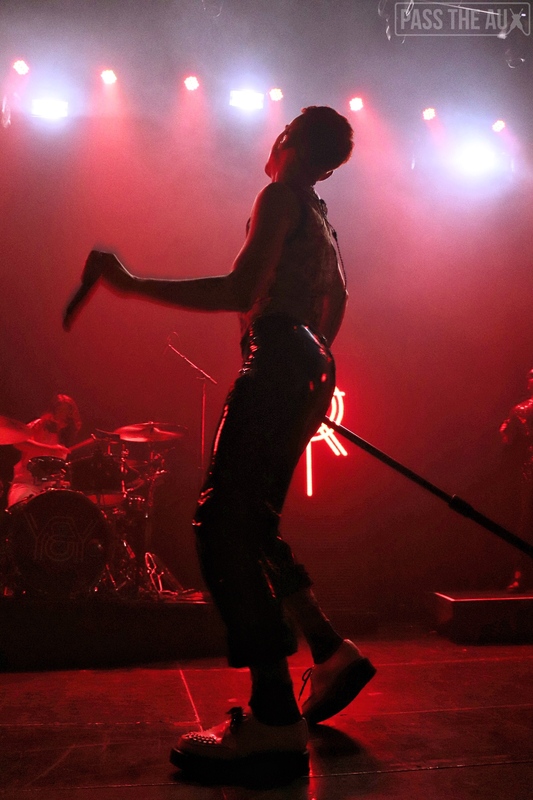 And from that moment on, the tone was set. 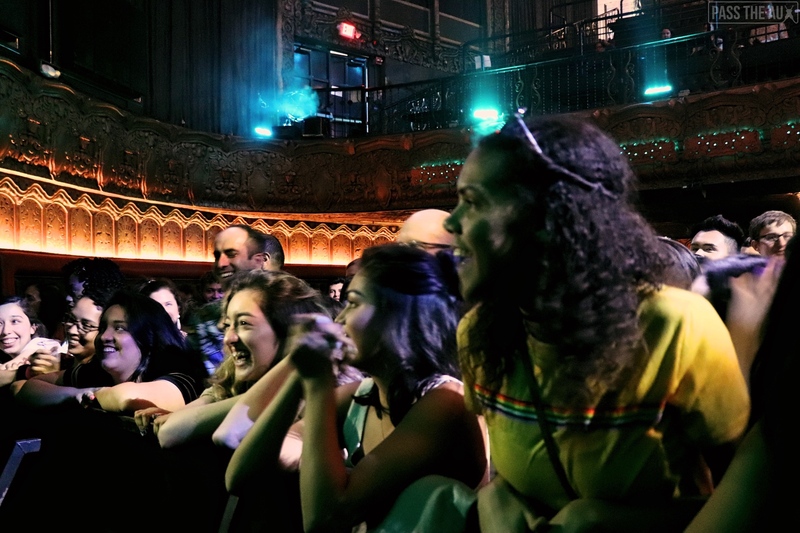 Sure, Drag Race was on at home and Janelle Monae was headlining a sold-out show at the Greek elsewhere in town, but this audience chose to be here instead. 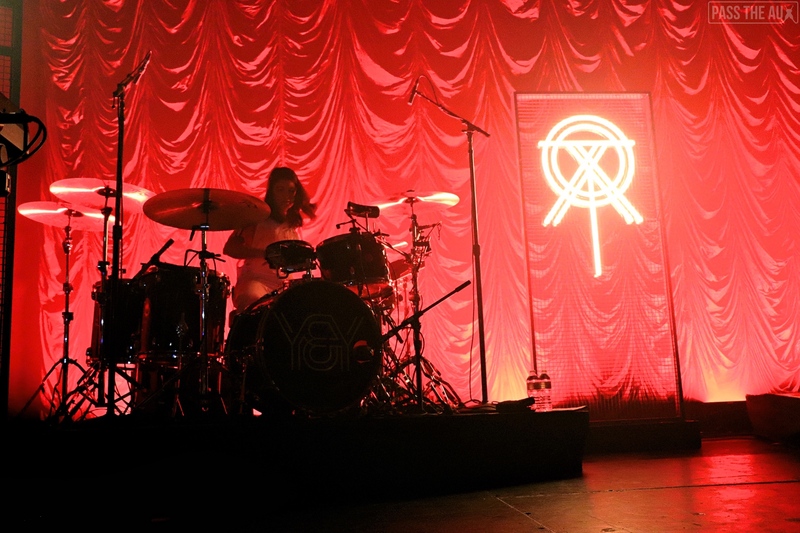 They came for Years & Years, and they came for fun. 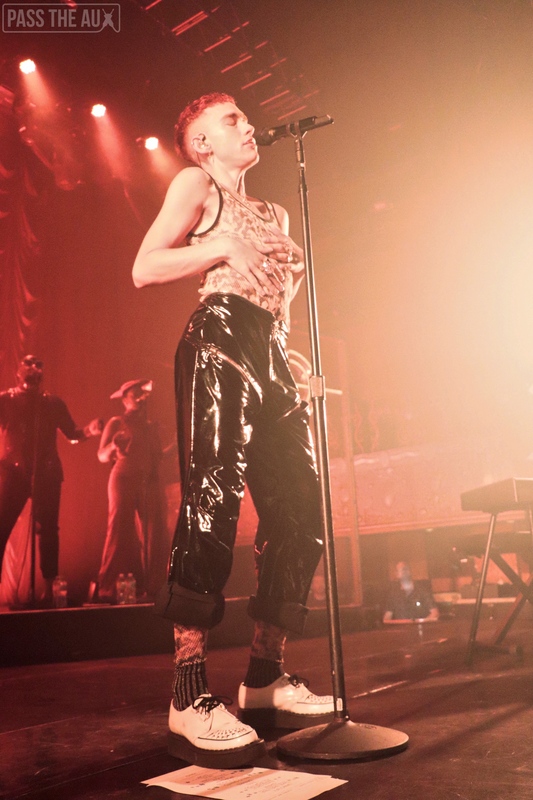 The venue instantly became a safe space for pure pop fun, sparkles, dramatic spotlights, shiny black vinyl pants, and being as “extra” as possible. 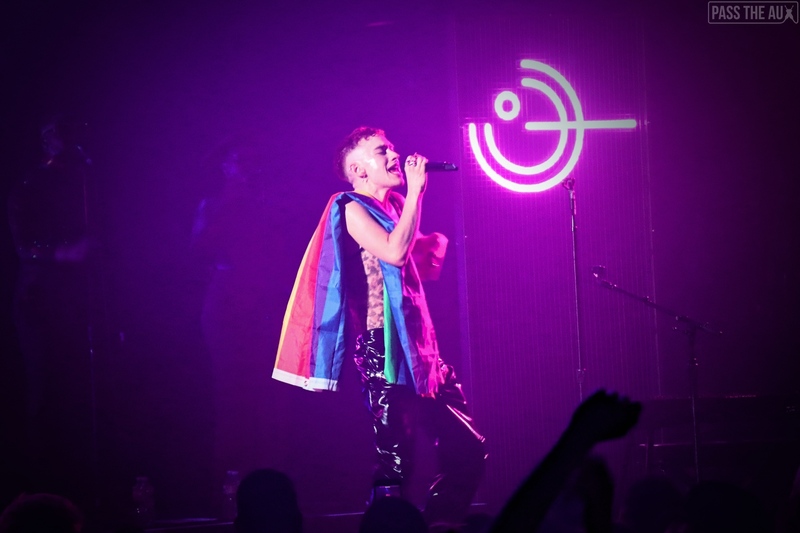 High-pitched screams reached unreal heights every time Olly body rolled, and especially when he brought out a rainbow flag and draped it over his shoulders. 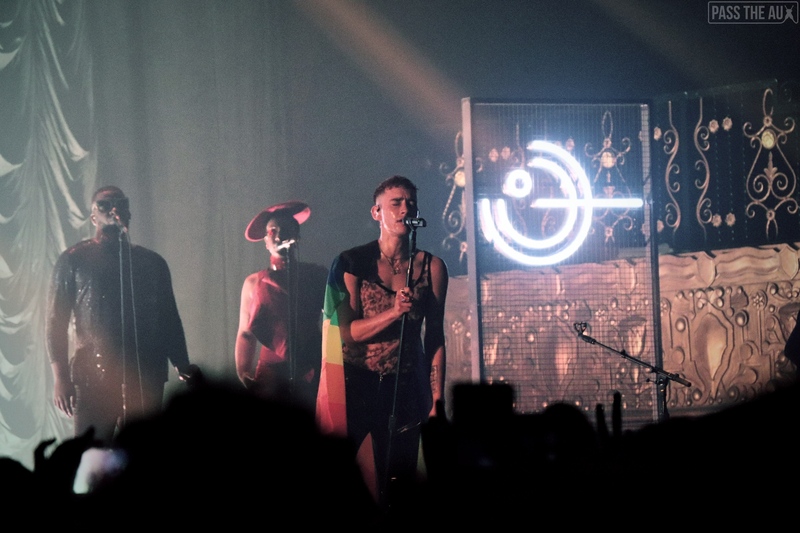 The queer solidarity was both overt and remarkably commonplace. 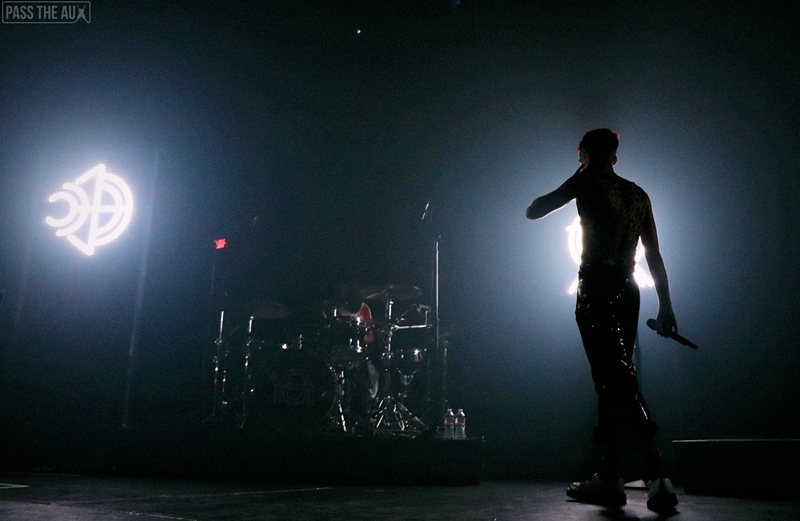 This wasn’t a performance for someone else; it was just for them. 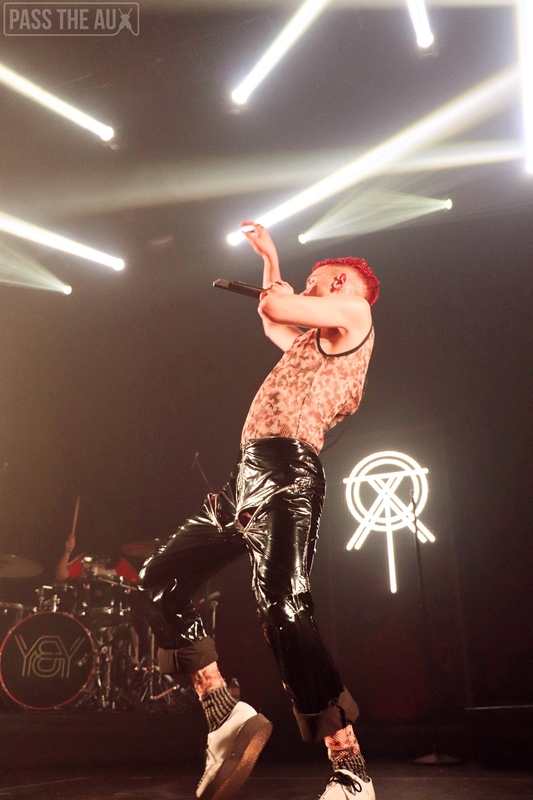 Eventually, a techno synth breakdown led to a second drum kit appearing and backup singers taking center stage as the group began their smash hit, “If You’re Over Me.” All at once, eager teens wearing fishnets at the front and groups of men in tight patterned shirts and polos at the back burst out in one unified dance. 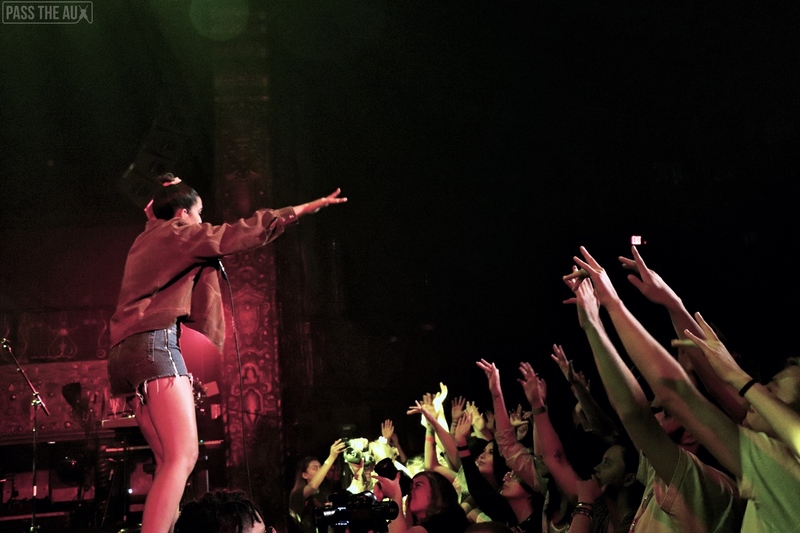 The theater smelled like fruity margaritas and started looking like a club. 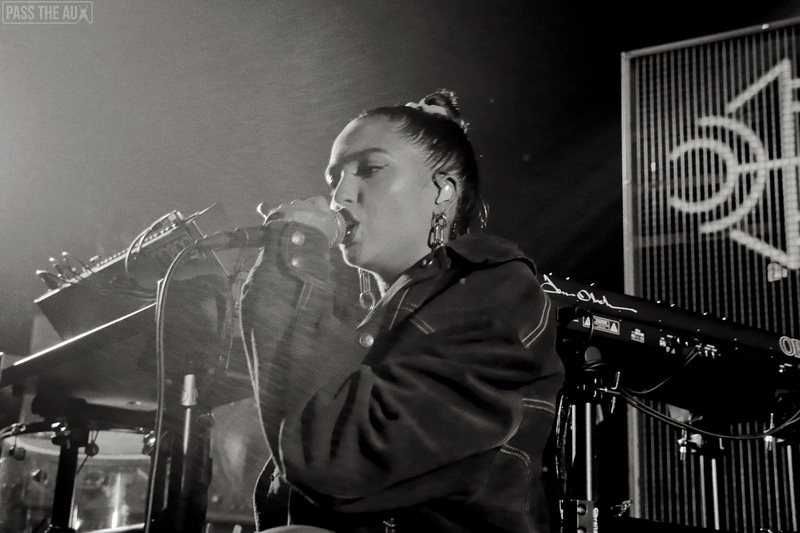 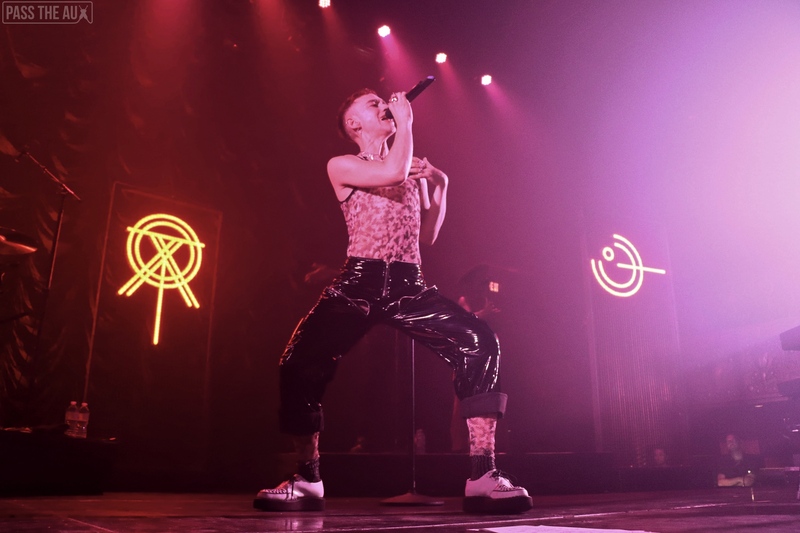 As if on cue, Olly remarked, “This next song is about the club, and the club is like church.” Everything about the performance, music, and crowd was in perfect sync. 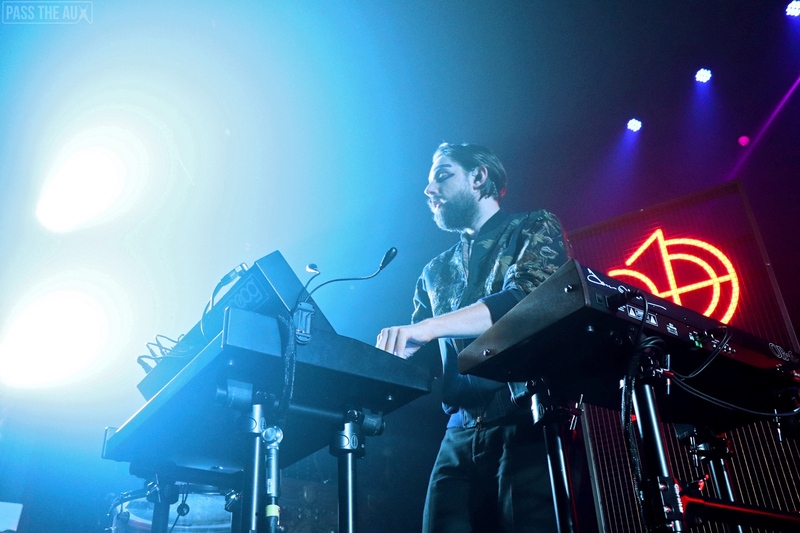 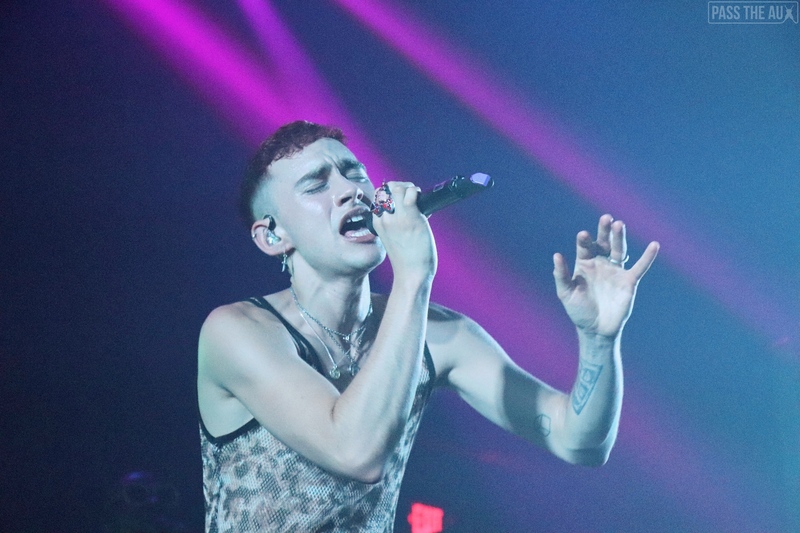 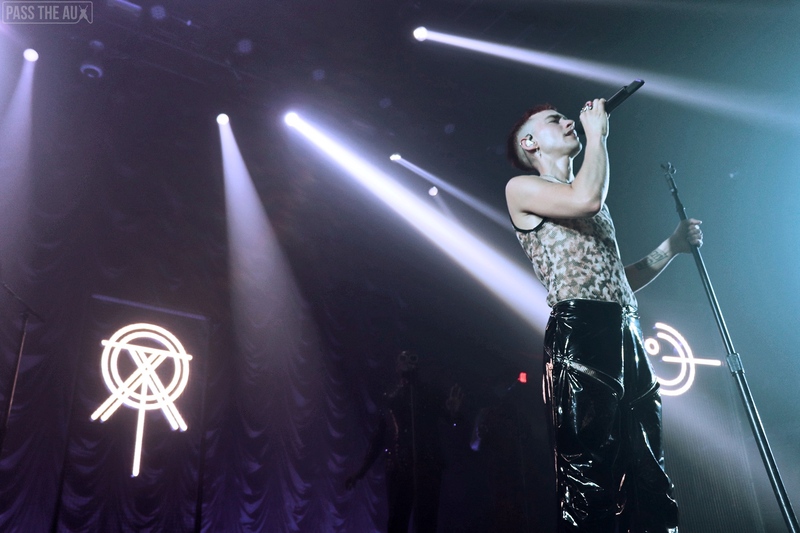 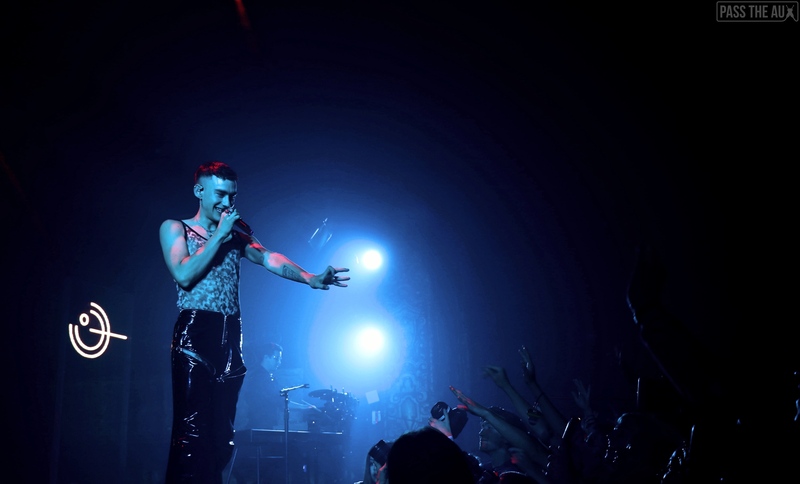 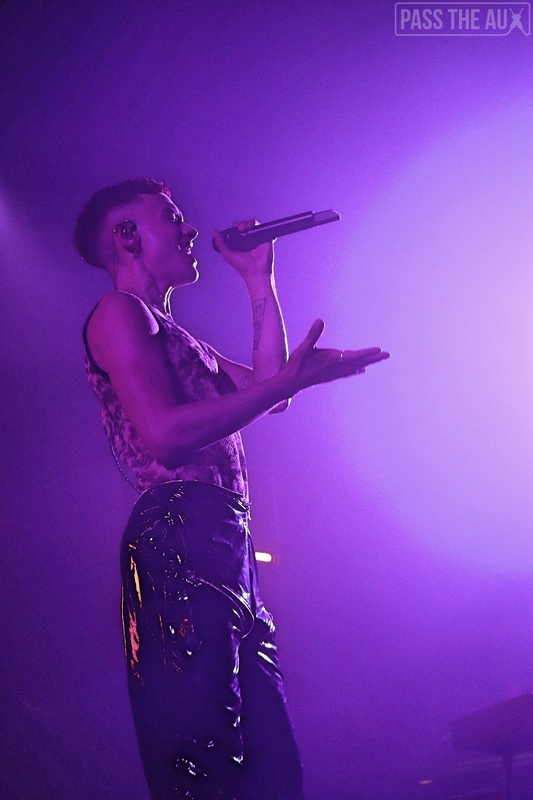 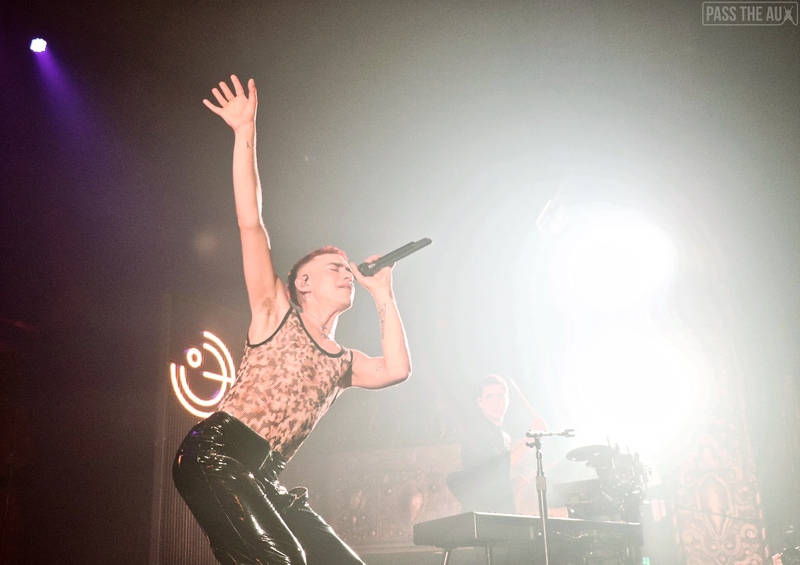 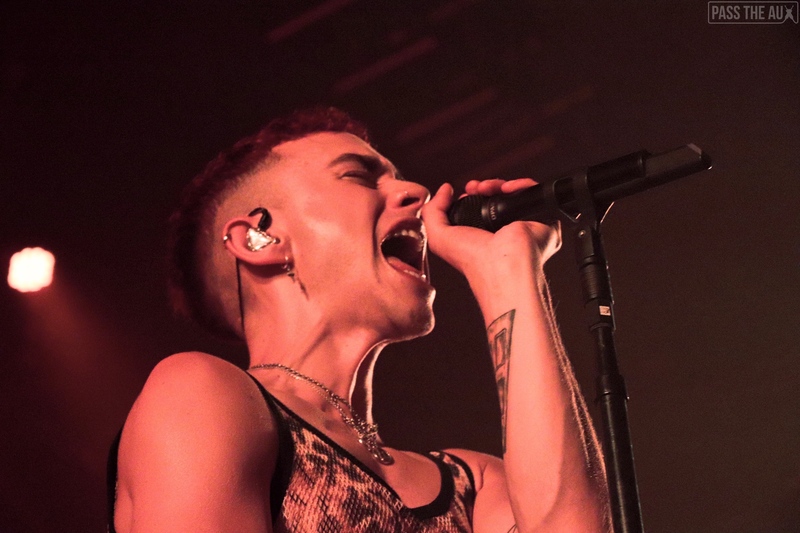 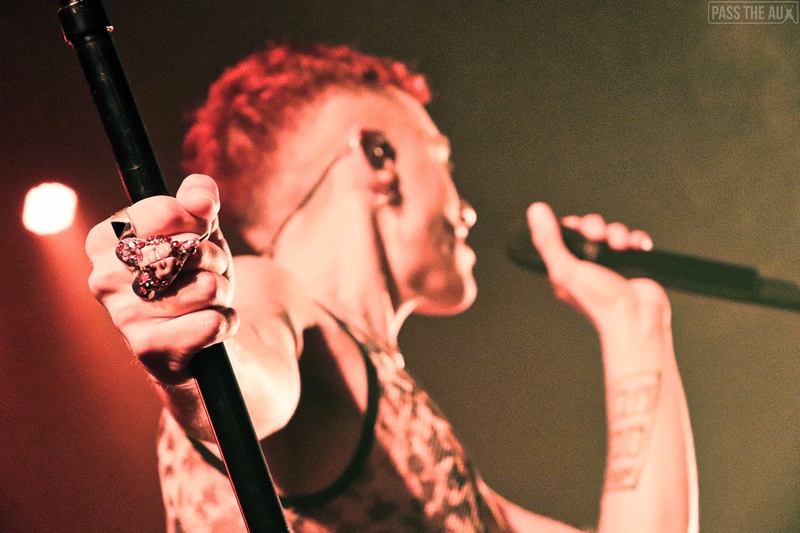 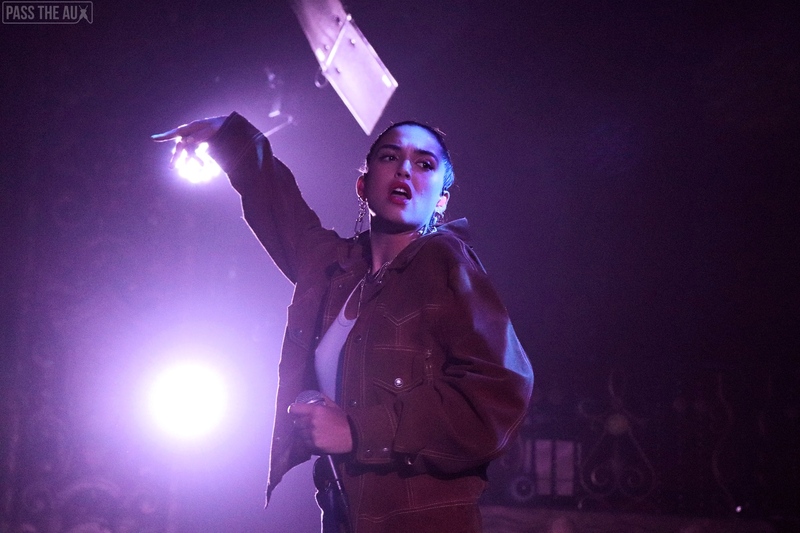 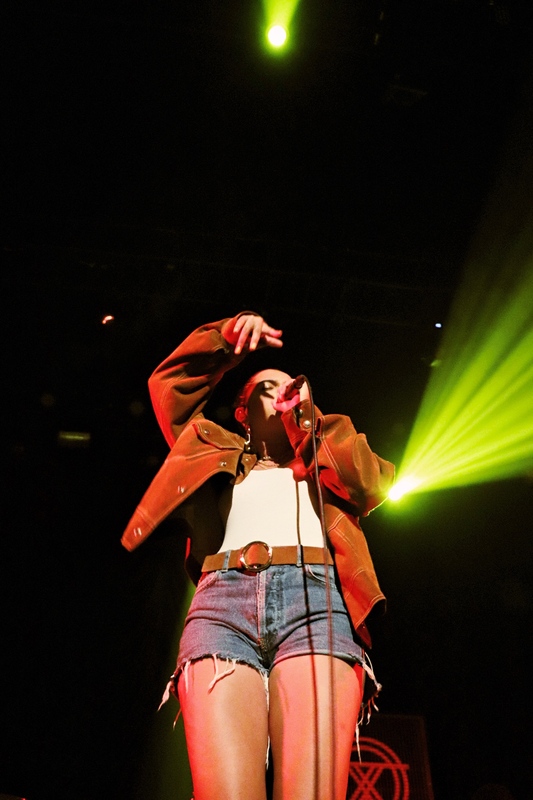 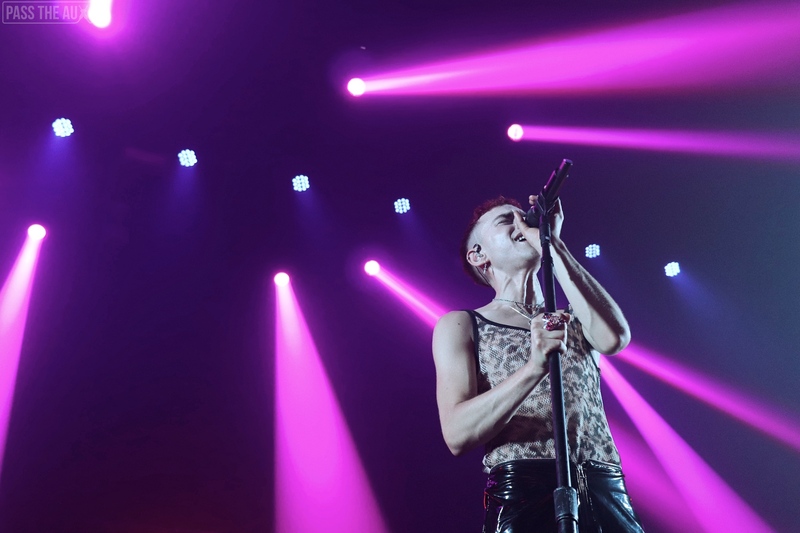 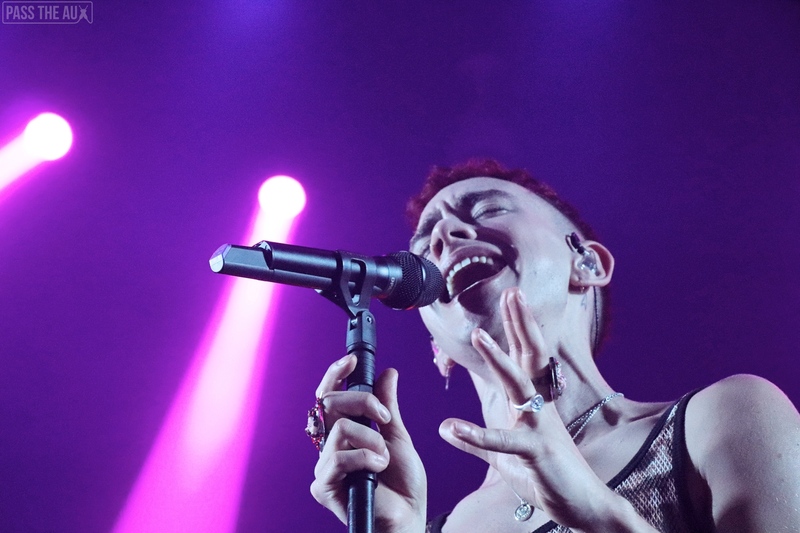 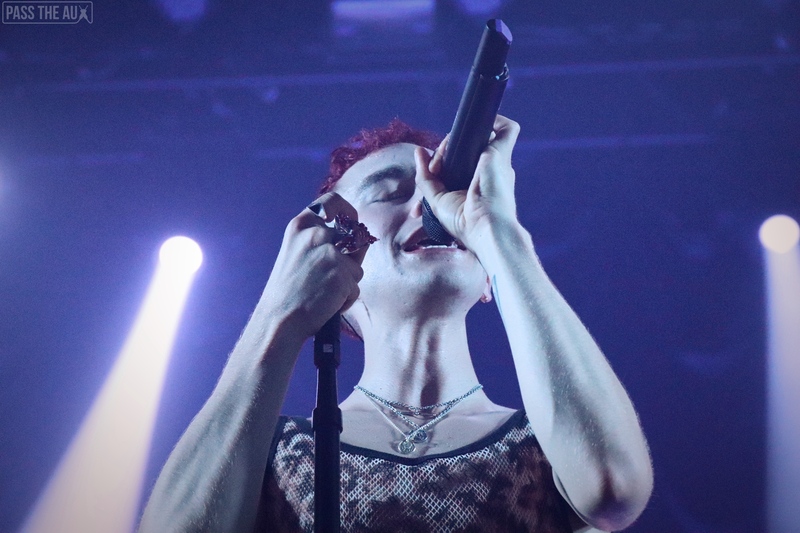 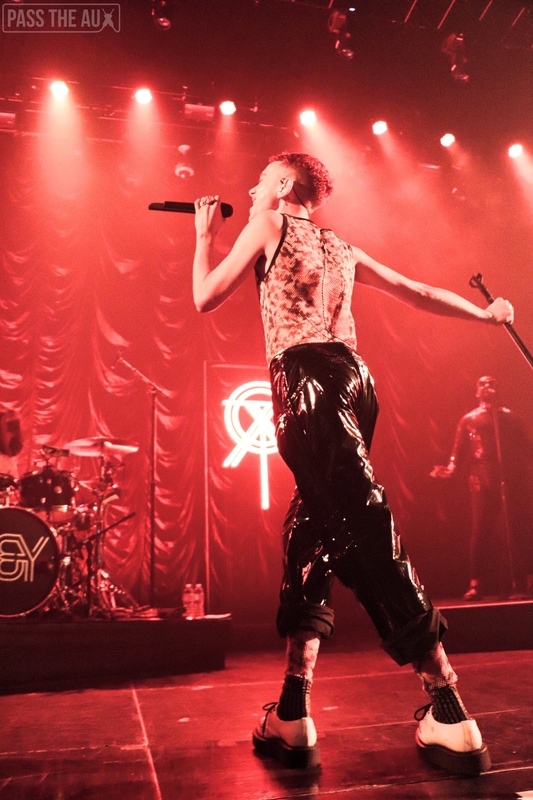 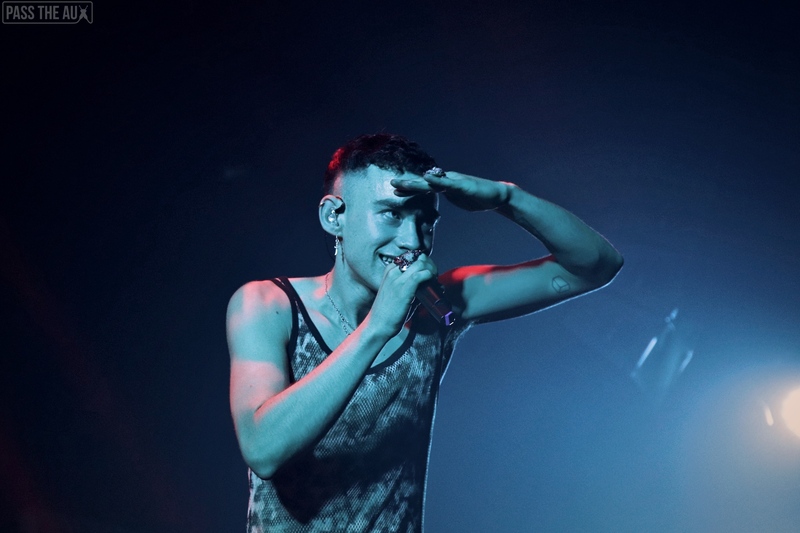 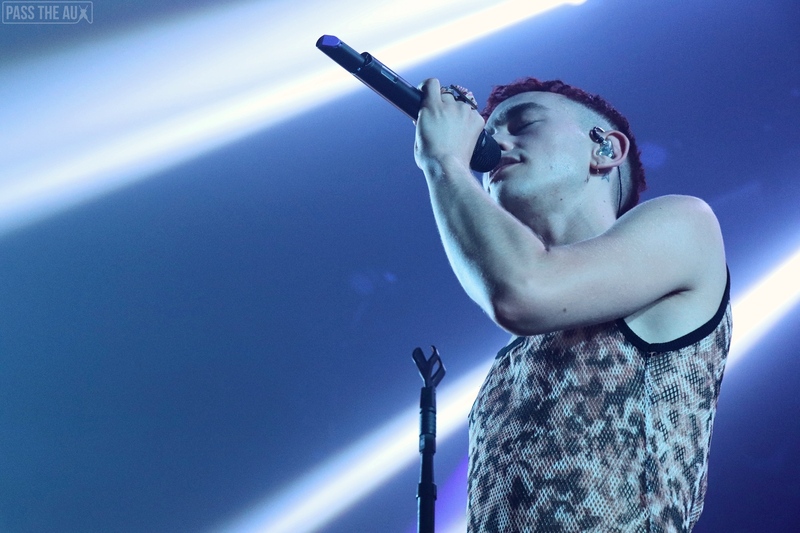 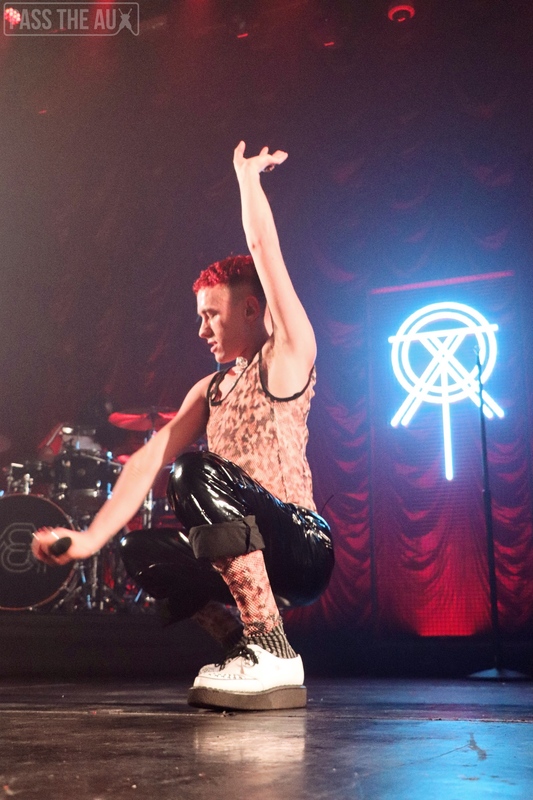 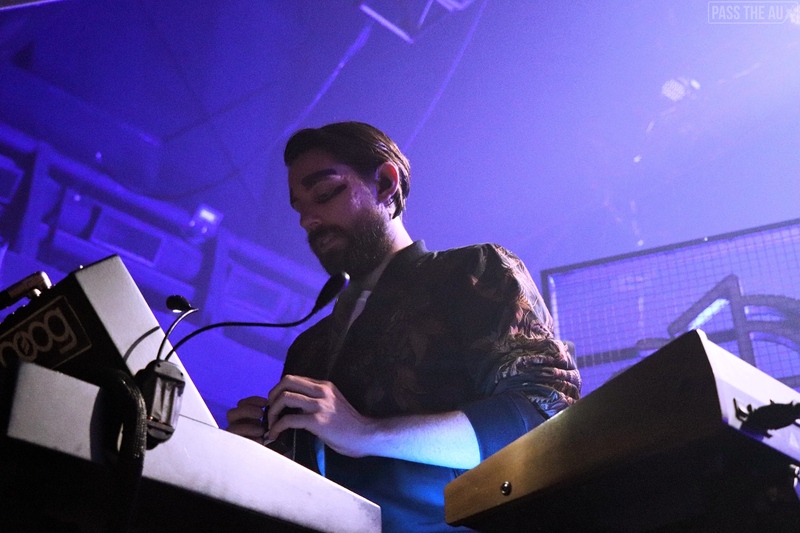 At the Belasco Theater, Years & Years were more than just music for those fans. 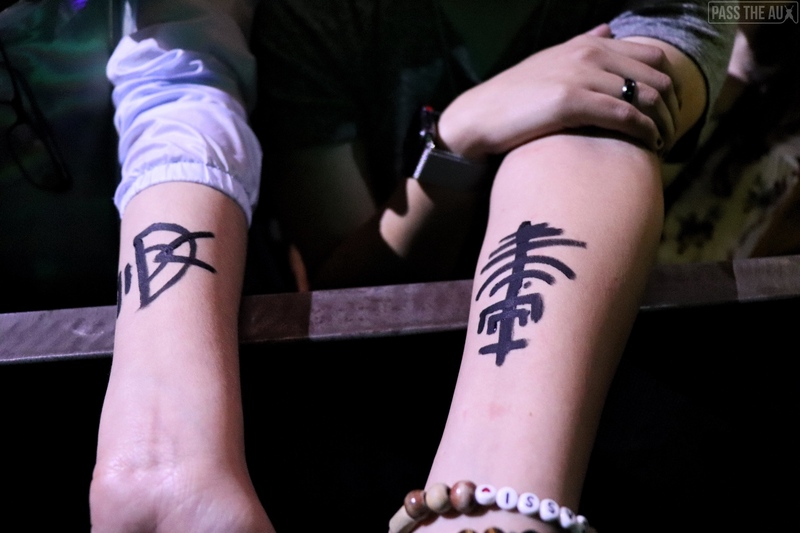 By the time the night ended, they were freedom personified. 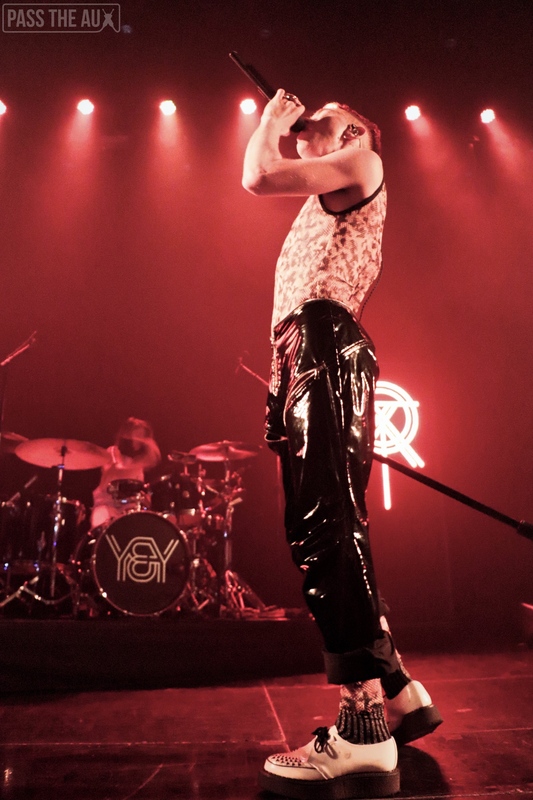 And most importantly, they were fun.